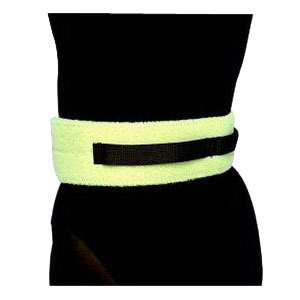 Gait belt with Velcro. Beige. Made of loop that engages with hook in front. Sturdy strap to assist with handling of patient.